News outlets should all be striving to publish evidence-based journalism rather than repeating misinformation. Letting the anti-choice movement shape the story was among the oversights news outlets made this year. A podcast about pregnancy and drug use. It’s about Native people and tribal sovereignty. It’s a story nobody has told beyond a small community, but one everybody needs to hear. I swear, I used to listen to podcasts for fun. Instead, my morning rituals now often involve a brisk walk around the block or trip to the gym, all while exasperatedly talking back to the podcast hosts at various news outlets for repeating misinformation in the service of “maintaining neutrality.” (Yes, my neighbors do find me delightful, thank you for asking!) I’m not sure when I started to become my own dad—who himself has established a robust retirement habit of yelling at the TV right around sundown every evening—but I look forward to the mid-calf sock collection and fascination with rehabbed vintage 1940s Ford Mustangs that will surely follow. In all seriousness, it’s not like I delight in extracurricular criticism. These outlets are producing great and necessary journalism; that’s why I follow them in the first place! And I know we’re all trying our hardest to put forth evidence-based work in an increasingly frenzied landscape. But when mainstream media screws up coverage of reproductive health, rights, and justice issues, that has serious consequences. As NPR pointed out in 2006, for example, the use of the term “partial-birth abortion,” which was created by anti-choice activists to undermine a rare medical procedure, made it all the way up to Congress. Ultimately, that procedure was outlawed by the U.S. Supreme Court—thanks, in no small part, to the phrase’s emotional connotations. Even today, though, journalists still uncritically use the term without noting its origin or its inaccuracy. I asked the Rewire.News staff about which mistakes they still saw news outlets making about issues Rewire.News covers—and how we all can do better going forward. Here are a few of their responses. About one in six acute-care hospital beds in the country are in Catholic facilities. But as Rewire.NewsInvestigative Reporter Amy Littlefield has pointed out, many women don’t know their hospitals are Catholic. And that has real consequences: Many Catholic health-care facilities adhere to restrictions on care such as tubal ligations, birth control, vasectomies, transition-related services, and miscarriage management. Rewire.News has uncovered some of the results of the growing Catholic influence on health care, including doctors waiting for their patients to sicken as they miscarried and women being pressuredinto burying their miscarried fetuses. But much of the effects remain unknown—and Catholic health systems want it that way. Unfortunately, some news outlets fail to even mention that hospitals are Catholic—let alone note their restrictions—in their stories about those facilities. In July, the New York Times ran a lengthy piece detailing the ramifications of rural hospital closures on patients like a woman named Kela Abernathy, who had to travel 100 miles while in labor to deliver twins. But, as Littlefield pointed out in a commentary piece, the Times failed to mention that the hospital Abernathy drove to “follows Catholic religious directives that can put the lives of patients like [Abernathy] at risk.” In other words, if you’re a rural patient who needs the kind of care Catholic hospitals restrict, you might find yourself making a two-hour drive only to be turned away at the door. The Times made a similar mistake in November in a piece about hospital mergers. Huss also pointed out another trend in a different Twitter thread: news outlets’ use of anti-choice terminology like “dismemberment abortion” bans to mean dilation and evacuation bans. Like referring to dilation and extraction abortions as “partial-birth abortion,” this is just another way for the anti-choice movement to associate routine medical procedures with grisliness. See also “unborn child” versus “fetus,”or “mother” versus “pregnant person.” As journalists, it’s on us to examine what words really mean, and what ideas they’re reinforcing—before those ideas make it all the way up to Capitol Hill. Speaking of thoughtful language choices, the frequent use of the word “minority” to mean “people of color” scored high on Rewire.News Vice President and Managing Editor Regina Mahone’s aggravation meter. The examples of this are almost too numerous to mention, but it’s worth breaking down the kind of message these outlets are conveying. For one thing, “minority” generally isn’t used accurately based on its definition alone. People who self-identified on the census as “white alone, not Hispanic or Latino” make up about a third of New York City’s population. That rate is similar to the one for the cities of Philadelphia, Los Angeles, and Chicago. So why do stories about those cities—or about the United States, or the world—often refer to “minority” neighborhoods or “minority-owned” businesses when they’re talking about people of color? King pointed out that the word “minority” can be useful when it’s highlighting power disparities or in reporting on data. And it’s true: If a scientist has only used the word “minority” in their research without defining it, it may be necessary for us to do so. But as white supremacy creeps its way through our local, state, and federal governments, it’s imperative that news outlets start doing their part to address it—including in their language. C’mon, y’all. It’s not gonna be good for anyone. This is an eternal source of grumpiness for, well, pretty much everyone on staff. Consider, for example, reporting about the United States’ shockingly high maternal mortality rate that buries the fact that Black women are three to four times more likely to die of pregnancy-related causes than white women, or don’t mention it at all. Or stories that feed into stereotypes about trans youth without featuring, as Alex Barasch put it at Slate, “a single happy, well-adjusted trans teen among its host of central characters.” Or a media environment that forces trans people “to perform sadness or pain just to get published,” as Rewire.NewsFederal Policy Reporter Katelyn Burns wrote in November. Or news outlets that portray mass male shooters as “lone wolves” or “mentally ill” when they’re white, and as terrorists when they’re not. Or stories that feature disabled protesters as “inspirational” and missing the driving purpose of their activism. Or photos that suggest people seeking abortions are visibly pregnant. And on, and on, and on. Look, pobody’s nerfect. We recognize that no one story can do everything and that it’s often a lot easier to critique than to create. It’s more important than ever, though, for us to hold ourselves to the standards of evidence rather than succumbing to hype or “both-sides” journalism that is anything but accurate. We in the media have to interrogate existing narratives that reinforce stereotypes or ignore the ways people are getting left behind by those in power. If we don’t, we’re doing our readers, our beats, our interview subjects, and ourselves a disservice. 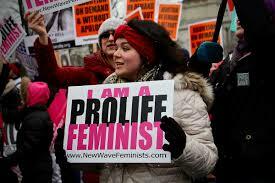 Do NOT call them “anti-choice.” They are “so-called ‘pro-lifers. '” They pretend to be “pro-life” just to score PR points. We must not let them do that. We have got to start framing them for what they are– cardboard giants. It’s important to note that “so-called pro-lifers” have their beliefs based in their religious tenets. Because the First Amendment forbids making laws that impose a religious belief on those who do not share it. Other religions, a vast majority of Protestants, atheists, and agnostics would be affected. A great number of religious people hold the “breath of life” religious belief about abortion, that a fetus has no soul until it takes a breath. And without the presence of a soul, it can’t be considered murder. We need to educate people about this difference. Those religious people are right, Cheryl — the fetus has no soul till she takes a breath., However, even the zygote breathes; one cannot live without oxygen. She just gets her oxygen through a different medium, liquid. Hey, Chuck, how you been? Making abortion difficult kills both the mother and the unborn. A woman that made a mistake and fell pregnant can not be stopped from terminating a pregnancy. No law has a capacity to do that. NONE. Women in places where abortion is restricted do the most weird things to end pregnancies often dying in the process. It is therefore important to keep abortion easy and affordable, at least you will keep one person alive.